The itinerary of the daily boat excursions includes 30 different dive-sites between Ras Mohamed in the south and Straits of Tiran in the north. The boats leaving to the furthest dive sites depart at 8:00am. Walking distance to the pier is 2 minutes. Meeting point is in the center. Depending on the distance of the dive site, the boats will return to the harbour between 4:00pm and 5:00pm. The boats are made out of wood, most of them with a single engine and with available space for up to 20. They feature a large dive-deck with dive-platform, space for tanks and diving gear, a sundeck, WC and the salon. Here the crew will serve a tasty lunch. All boats are equipped with O2, First Aid and VHF Radio. Free: Nitrox 32 for all divers with a valid Nitrox license. 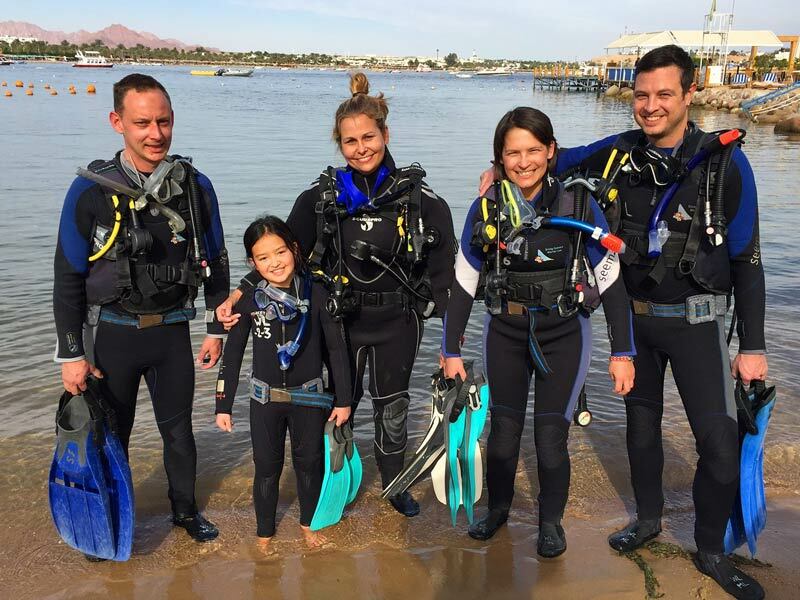 The Naama Bay and is ideal for beginners and for beach dives. 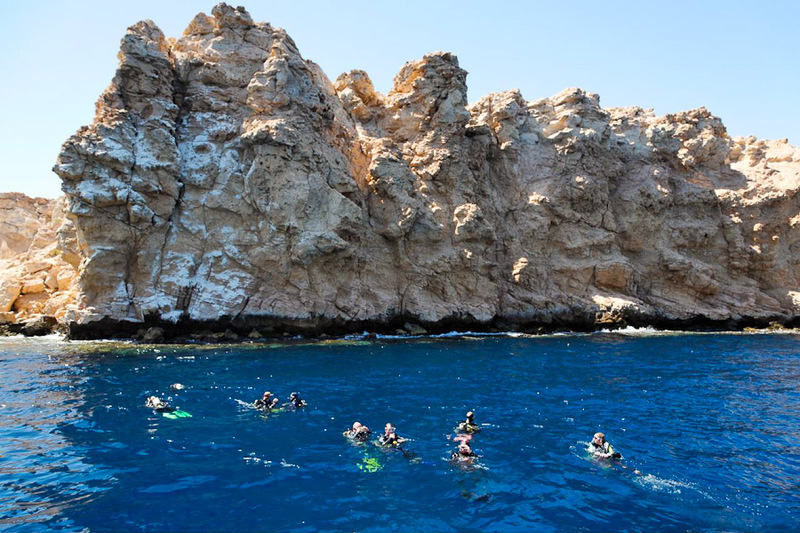 We can also arrange night dives for you, as well as excursions to Dahab (travelling there by coach) where you can dive the Blue Hole and the Canyon from the shore. 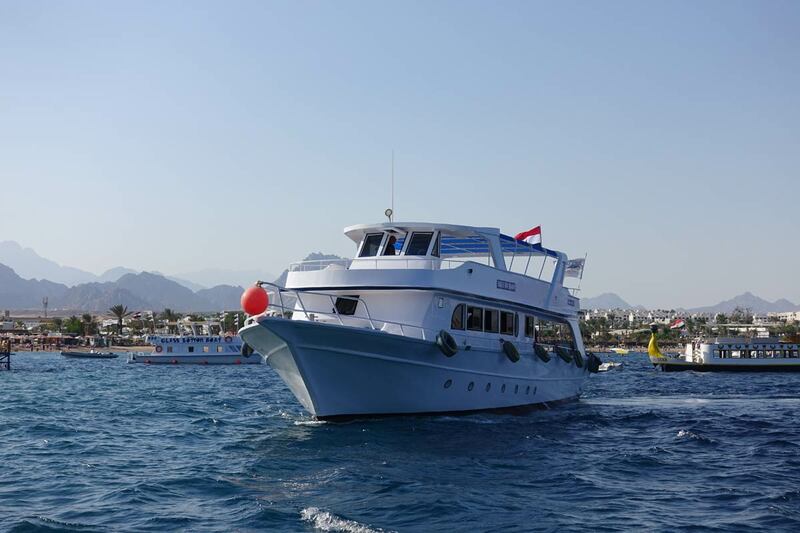 The spacious boats leave the Naama Bay Jetty between 08.00 and 09.00 am – except when visiting the wreck of the Thistlegorm – on those days we leave at 05.00 am – or the wreck of the Dunraven when we leave at 06.30 am. Early pick-ups from the all hotels are arranged accordingly. 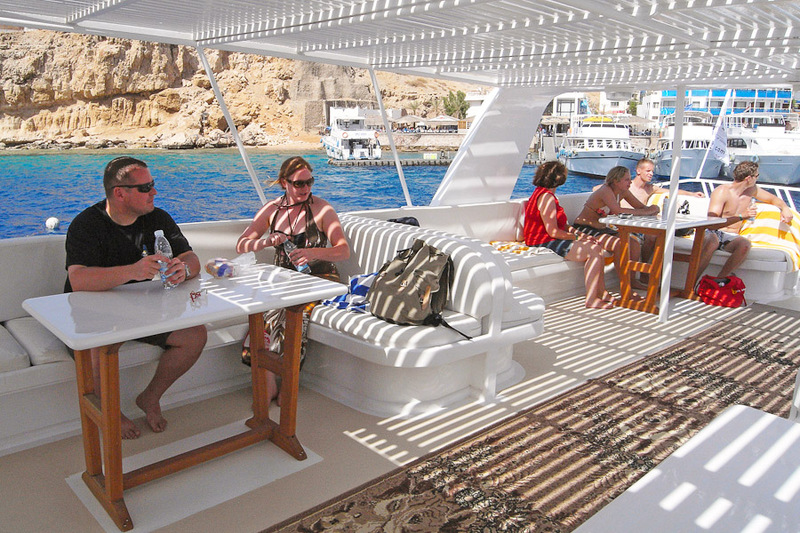 Most days we`re back at the jetty in Naama Bay by 5.00 pm. 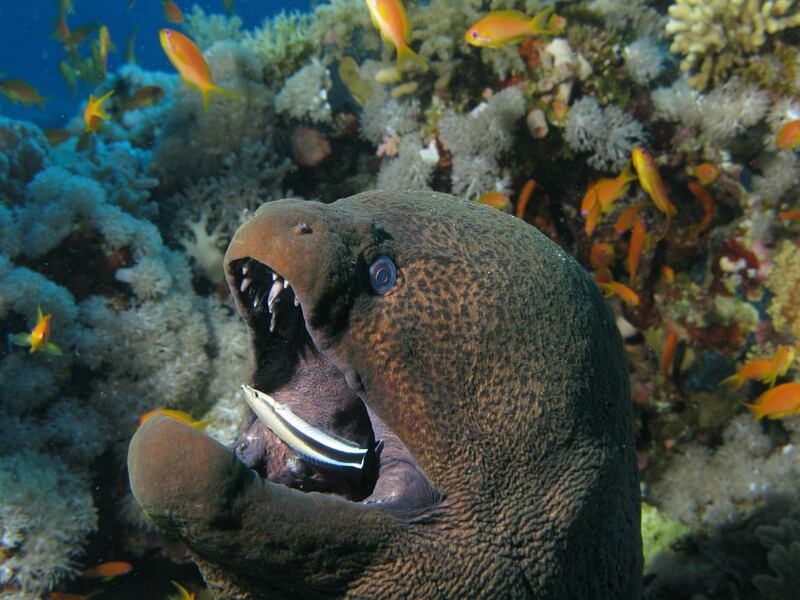 We offer daily diving – with two or three tanks per day – to any of the 30 dive sites in Sharm el Sheikh. 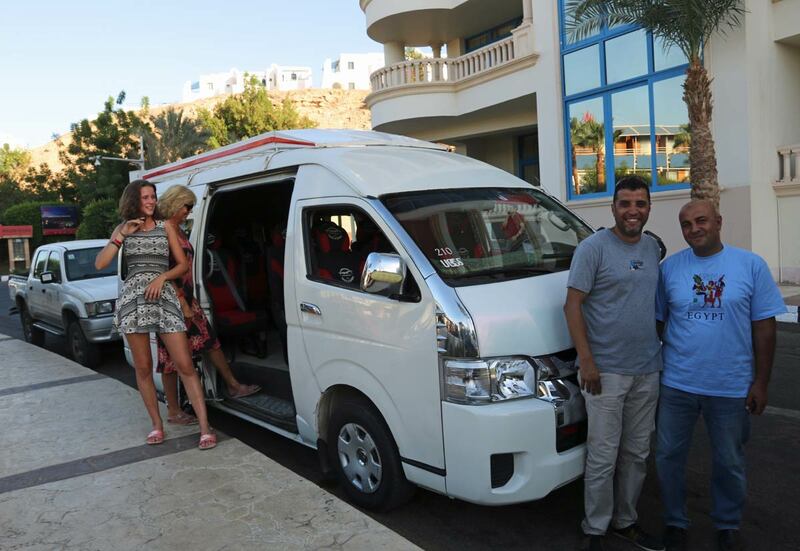 A free shuttle bus service is offered from all hotels to the Dive Centre in time for the morning departure and the jetty is just a short walk away once you have checked in. 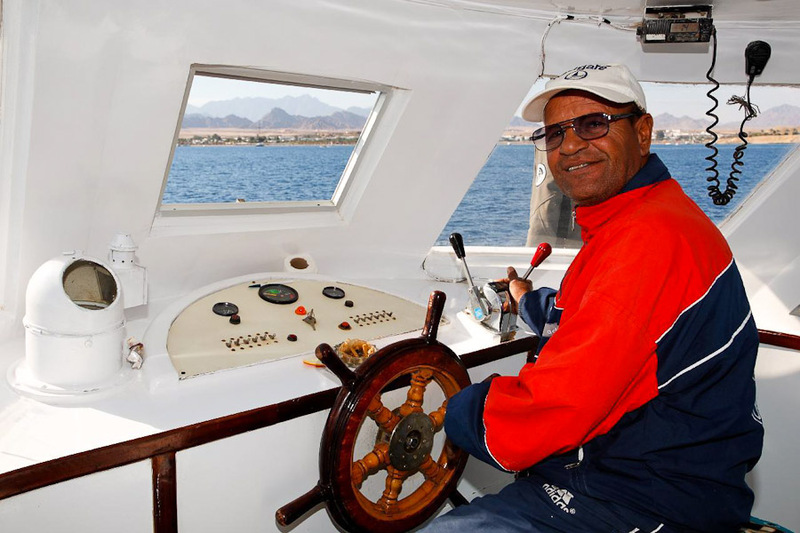 All our boats are modern and comfortable and fully equipped with toilets, sun decks and of course a large dive deck where all tanks and equipment are held. A full lunch buffet is provided for only 5,-€ (– state Aug. 2018, subject to change) which includes tea and coffee, soft drinks and water. In connection with Hotel and dive reservations pick up from/ to the airport can be prebooked. Fully air-conditioned busses are available for these services. Safety in diving first. This has top priority at Sinai Divers. 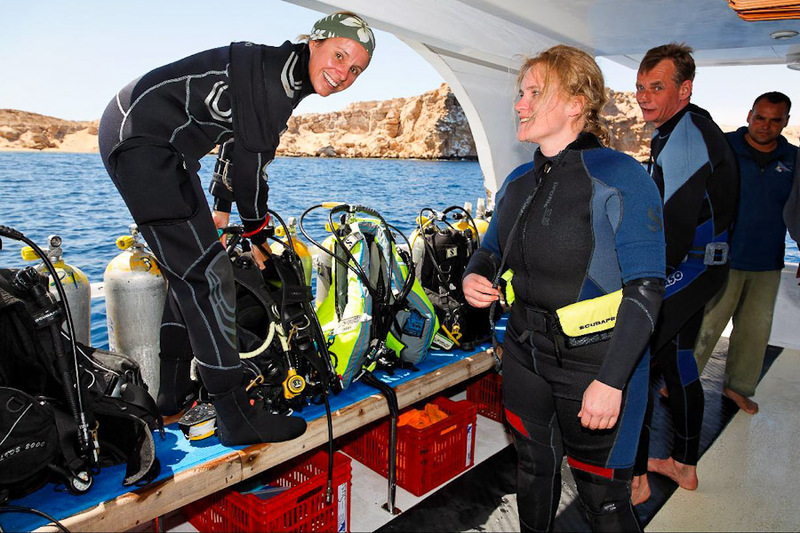 Therefore highly skilled instructors and well trained dive-guides, an organized dive-schedule and regular maintained equipment is of great importance. 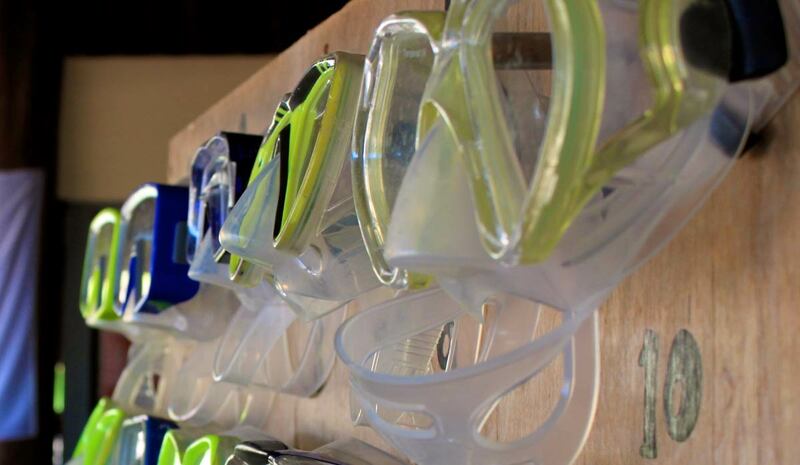 The center is equipped with 100 complete sets of dive equipment, and 10 complete sets of dive-gear for kids. Divers and students, diving on the housereef in front of the center, can store their personal belongings in the locker-room. The shower rooms are located here as well. 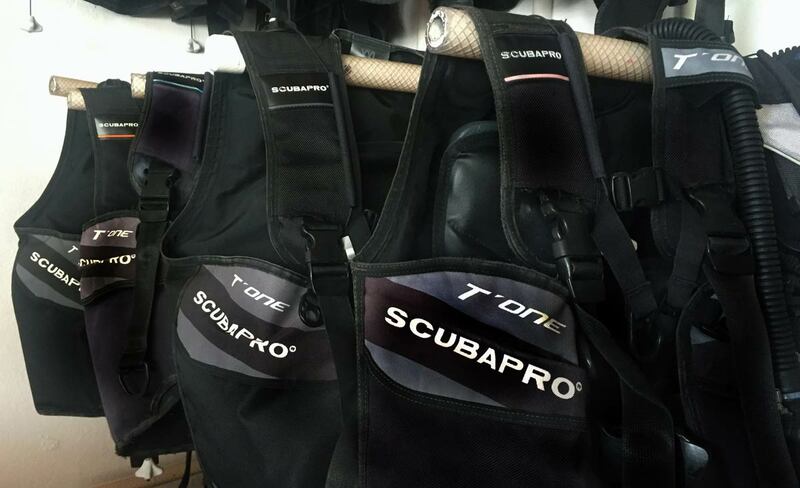 Separate freshwater-basins to rinse your diving-gear and photo and video equipment. 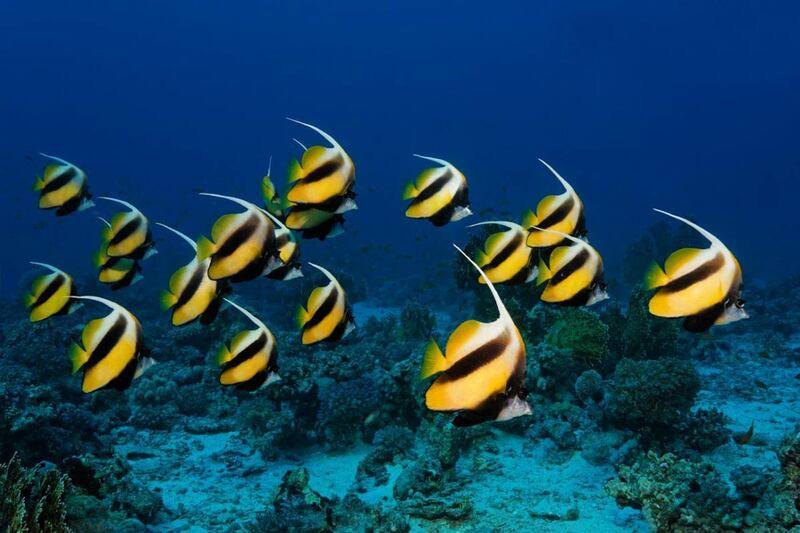 Sharm el Sheikh offers some of the best diving in the Red Sea and we have access to over thirty sites where we dive regularly. 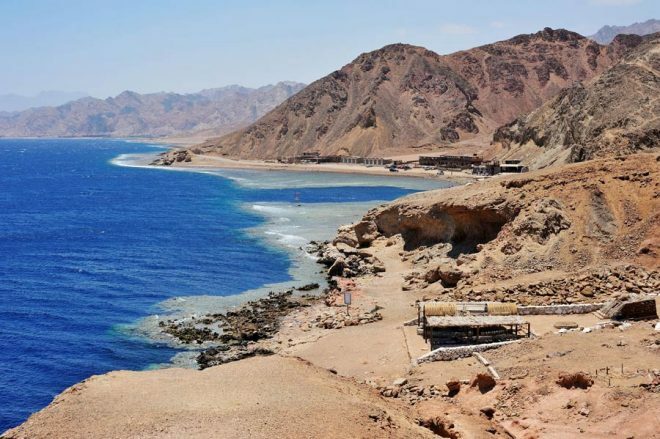 The local spots – along the mainland coast – are all reachable within a maximum journey time of 70 minutes, whereas the journey to the Straits of Tiran can take up to 2 hours. 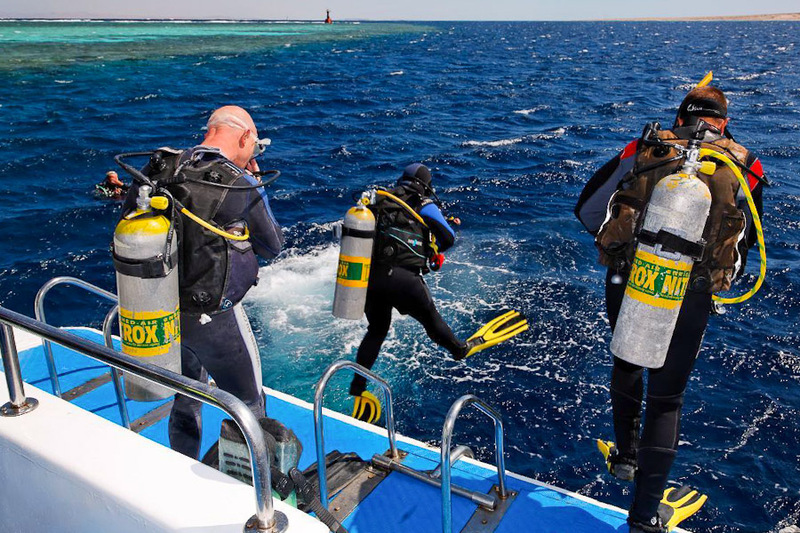 A day spent there offers a huge choice of different spots for stunning drift dives and moored dives. 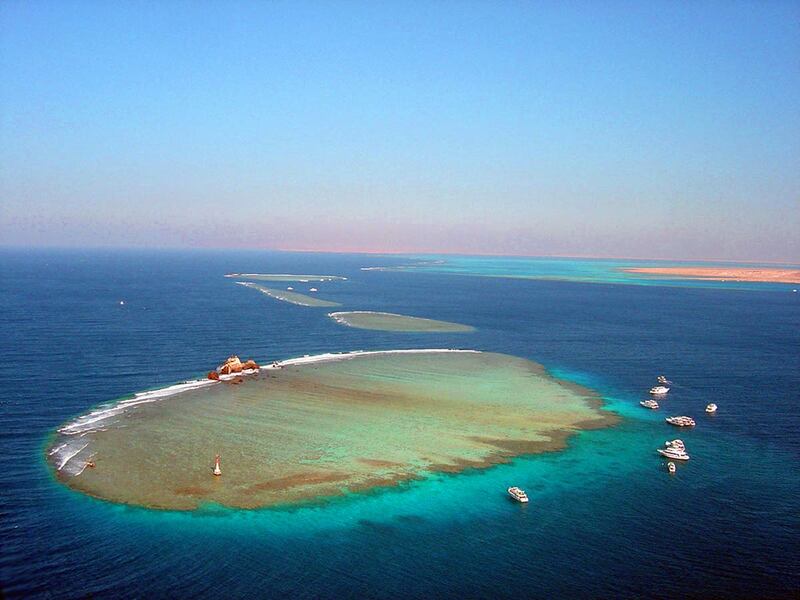 Ras Mohamed, to the South is 1 ½ hours away and has some of the most famous dive sites in the Red Sea. 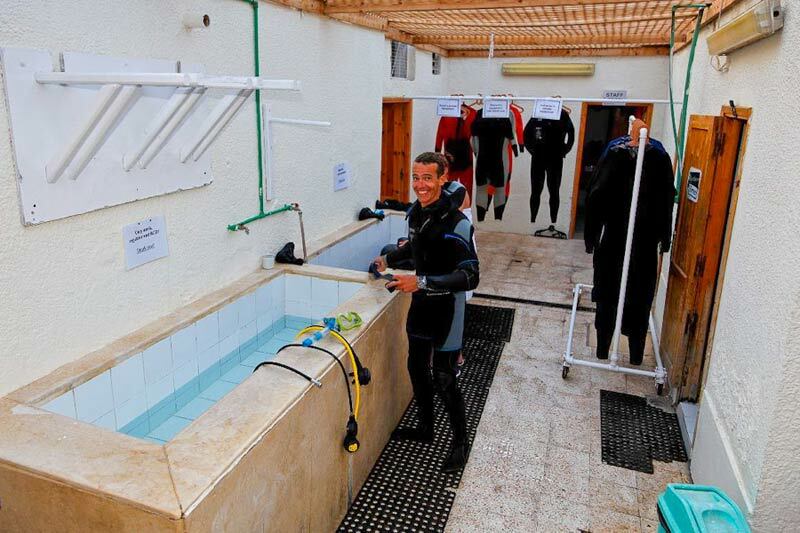 In addition to boat diving, shore dives are available right in front of the dive centre. We can also arrange night dives for you, as well as excursions to Dahab (travelling there by coach) where you can dive the Blue Hole and the Canyon from the shore. 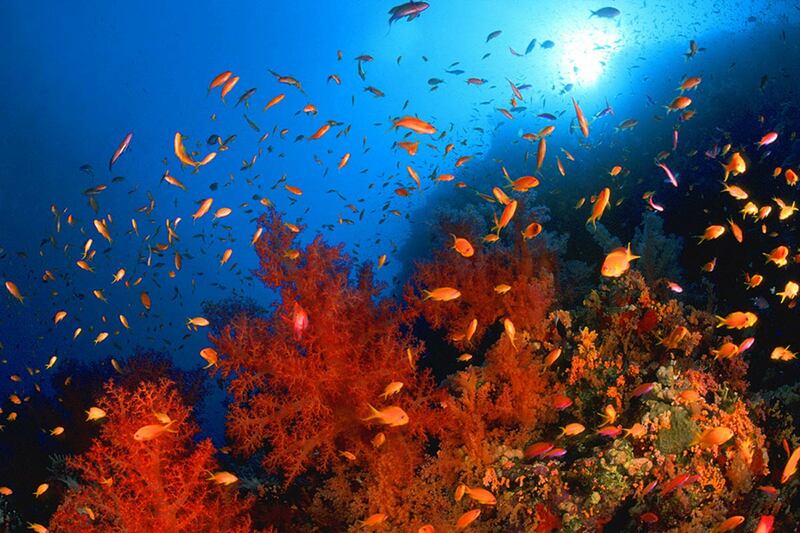 With such a variety of dive sites to choose from, we can guarantee you some wonderful diving. 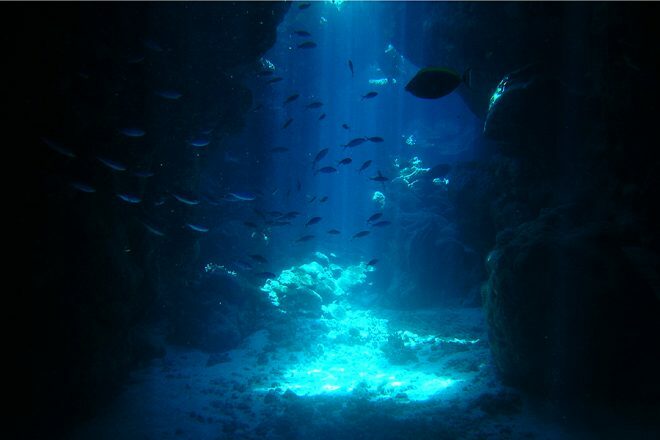 > Detailed information on individual dive sites you’ll find in the area Dive Sites. You plan to organise a dive trip to Sharm el Sheikh with your friends , Dive club or Shop? We know it is not always an easy task to please everyone and to put a trip together. At Sinai Divers we are more then happy to support you with special group arrangements and value for money options. 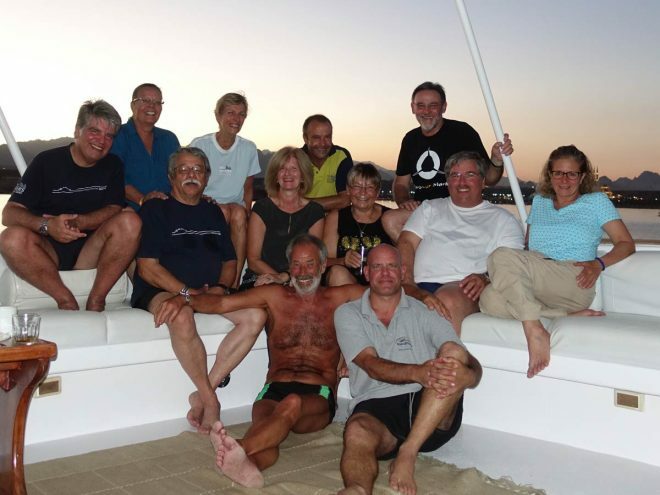 Wether your group of advanced Divers want to experience the best diving there is together or you plan to take a diving course as a group , we provide all the logistic and facilities you need for a memorable stay with Sinai Divers. 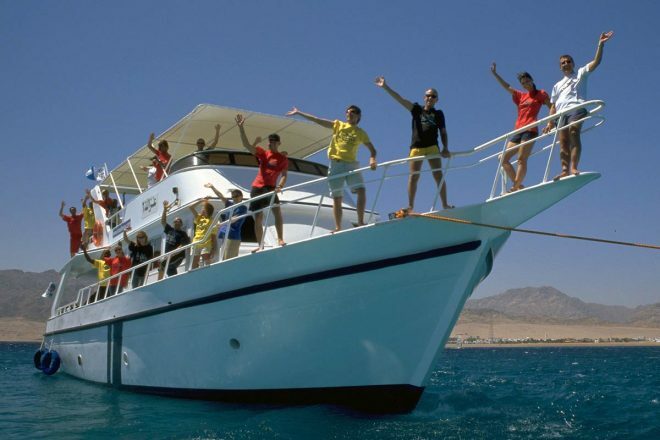 Depending on the size of your group we offer additional benefits specifically such as private boats and free places (subject to availability and conditions). Instructors who plan to train their own divers or complete the course with the confined dives on our house reef while here, have access to all our facilities and air conditioned classrooms.